Skooli connects students with only the best online tutors, which is why our tutors are paid more than other online tutoring platforms. Start tutoring with Skooli and earn more. Tutoring on Skooli is easy. Students can schedule sessions in advance or request instant help if you’re online. Tutor students one-on-one from anywhere with an internet connection using your smartphone, tablet, or computer. 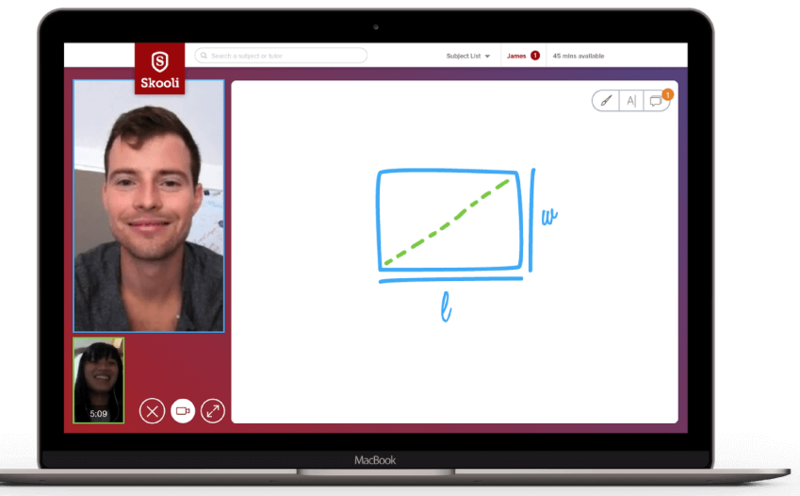 Let us know you’d like to tutor on Skooli. Have your teaching certifications, proof of education, and ID ready. If you’re a good fit for Skooli, you’ll be approved and visible to students. Add a criminal record check for full Skooli verification. Find some time with a Skooli team member to get introduced to the system and classroom. We’ll make sure you’re ready for your first session. Get online to accept instant help requests and start earning money tutoring one-on-one in the Skooli Online Classroom. Who can become a Skooli online tutor? Skooli tutors earn $25 (USD) per hour and are compensated for the time they spend in the classroom. Tutors are eligible for a payout via PayPal whenever their earnings reach $100. Need more info about payment? Find everything you need in the Tutor Help Center. Verified tutors are denoted with a purple Skooli shield badge on their profile. These tutors have proven their credentials and have submitted a clean background check. Being verified not only means you’ll get more attention from students and parents, but you could also qualify for specialized programs with students not all tutors have access to. With features such as video conferencing, online chat, screen sharing, an interactive whiteboard, and Google Drive, our online classroom simulates the face-to-face tutoring experience while removing geographical limits and adding features only possible in an online environment. Learn more about the classroom or demo it here.